With the glorious heat that the long summer brought it meant more of us were eating and entertaining outside. 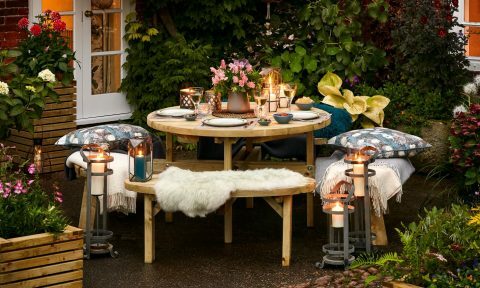 We’ve put a few ideas together to show how you could create your perfect outdoor entertaining space for next year. Zoning Spaces: One great way to maximise the space you have is to ‘zone’ it according to usage. 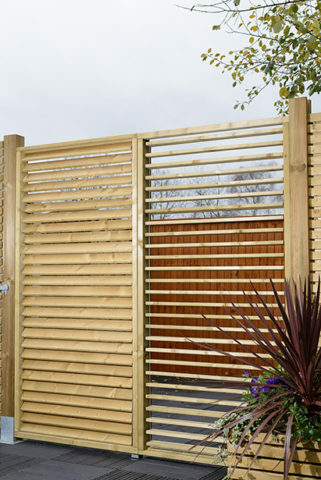 Think of your garden as a series of outdoor rooms and use trellis or fencing and screens to help partition space into areas for growing, relaxing, storage, dining and so on. For example, the adjustable screen can be a great choice for creating a border between your dining patio and children’s play area with the option to have the slats open to watch the children play, or tilt the slats to create privacy (or hide the mess). You could use arches to emphasise entrances to new zones and opt for matching products to connect each outdoor room to the next, accompany it by using lots of tall plants to create privacy between zones and garden borders. Outdoor Dining: Locate your outdoor dining area next to the BBQ or kitchen for convenience. It can also be nice to surround your dining area with planters filled with herbs that can be easily picked, chopped and added to meals or cocktails. There is a huge range of outdoor dining furniture and it’s an essential buy. Here at Grange we’ve extended our tables and seating range to provide more variety when it comes to alfresco dining. Check out our Classic collection, comprising a functional bench & table set, as well as the informal round table with backrests. 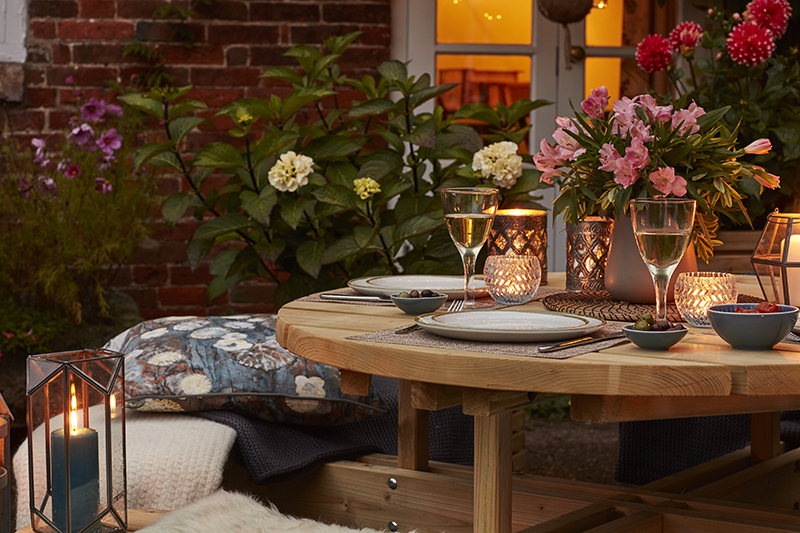 Remember to make the most of your outdoor table by dressing it up as you would with your dining table. Add candles, blankets and table decorations to create an intimate space to enjoy with family and friends. Garden Features: Make the best use out of your garden space and introduce a garden feature to stun your guests when entertaining. If you rent or have a small garden or balcony space then fill it will planters and place a feature garden bench like the contemporary slatted bench in the position that provides the best views. Choose a colour scheme, as you would with any room inside, and fill your space with scented plants that are full of colour. Use trellis in a creative way by securing it to a wall to create a living wall garden as your ‘wow-factor’. If you have more space outside think about using a structure like a Gazebo or Pergola to create a feature. You can create a hub for entertaining with a garden gazebo, it can be somewhere to take shade from the sun or an intimate cosy retreat in the evening once filled and decorated with garden furniture and lighting. Equally a Pergola can really create a ‘wow-factor’. 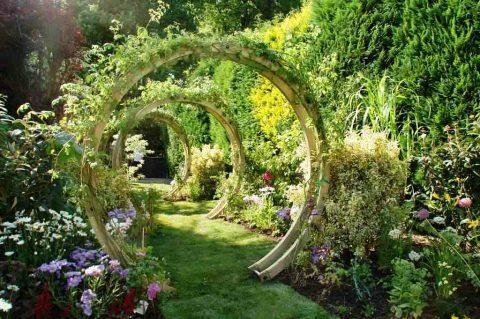 Take the Free-Standing Flower Circle for example, place it in a focal point in your garden to create a ‘picture frame’ and cover it with a Clematis (which requires little or no pruning, or other climbers like a summer-flowering honeysuckle) then imagine the endless photo opportunities you can have with your friends standing in front of it. Atmosphere: Don’t forget about music and lighting, when hosting outdoors, it’s important to be able to see each other as the light fades! Use strung globe lights, lanterns or chandeliers to create a soft light. Or create ambient lighting by incorporating lights into the patio edge. The use of Bluetooth speakers or smart speakers playing background music will help set the tone for the event – no party should ever be without music! For further information on our products and to view our whole product range click here or you can download our brochure from the website.